The present work will be devoted to the study of how the technical problems related to the design of combustion engines could be solved based on the fundamental laws of thermodynamics. Practical examples of how to use thermodynamics for describing physical phenomena and mathematical simulations of heat exchange processes in the combustion engines will be presented. 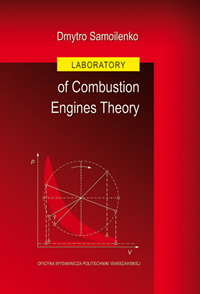 All the well-known solutions used in the vehicles engineering and related to the fundamental theory of combustion engines are presented in the current work. These solutions are piston compressors (used as an auxiliary equipment or external compressors in turbocharger assistance system), automobile air conditioning systems and internal combustion engines. Special attention will be paid to the theory, fundamental processes analysis (based on empirical tests results) and in the case of internal combustion engines – to the influence of harmful substances contained in the exhaust gas on the environment.